Jill Robinson: What can audiences do to help arts bodies flourish? But few people are asking the opposite question—what can audiences do for arts organisations? It’s not hard to imagine why. The question sounds selfish, capitalistic and profit-focused. But go with me here. As charities, not-for-profit arts organisations serve audiences. And yet, take a look at the balance sheet of any arts organisation. You can’t deny it. Audiences also support arts organisations. 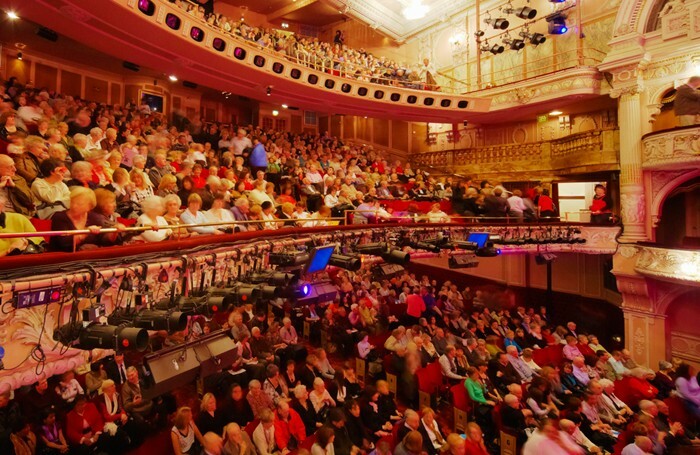 Our audiences are made up of patrons who book tickets, buy memberships and subscriptions, and give philanthropically. Those patron-generated sources of income make the business model of not-for-profit arts organisations viable. Audiences are our raison d’etre. They are also our most reliable, most sustainable source of support. That knowledge is uncomfortable, for two main reasons. First, accepting public funding changes the equation. Institutions get that money because we serve and engage the community. That money relieves the pressure on patron-generated revenue, but organisations still must sell tickets to the people we’re being funded to serve. Second, patron-generated income doesn’t always seem sustainable. Think back on your most recent season. Some shows sold well, and others, not so well. When our house doesn’t fill, we think we’ve failed, or that our patrons have failed us. But demand is not the same issue, nor does it present the same opportunity, as loyalty. Demand is dependent on the show and title. Loyalty, on the other hand, can be managed to grow sustainably over time in the context of a variety of artistic decisions. Theatre managers feel this tension between serving audiences and relying on them, but it’s also freeing. We have to acknowledge the nature of those relationships. Our audience is a collection of human beings who crave invitation and engagement. We can provide that, and that has value. TRG’s experience in our consulting practice, with organisations operating in four countries, is this: when audiences are invited to deepen their relationship with the organisations they attend, many are willing to do more. I think about the 30 theatre executives who have joined our masterclasses over the past six months. They are prioritising this conversation in their organisations, emboldened by the growth their peers have experienced when audiences are asked to invest more and more frequently. As the leader of one of America’s largest arts consulting firms, I’m often asked what is the most important issue for arts organisations. If your goal is leading a vibrant institution that serves your community, I’d say that growing your capacity to generate income from your patrons is vital. Your patrons can do more.